There comes a time you lazy store data on a hard disk or other save media such as flash disk with some reason. If you often have activity over the internet, there are media online store offers the convenience of storing files and access them anywhere and at any time, most importantly you are always connected to the internet. Application called Dropbox offers things that are mentioned above. You can use it as an online media to store data. 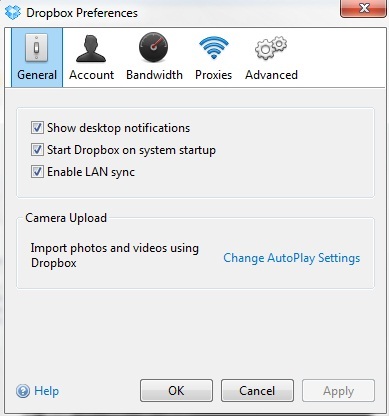 Dropbox can be synchronized directly on the computer you use, either on your PC or Mac, so that we can access files that are stored in an offline condition though. After installation, you must register for free online to take advantage of existing features. For those of you who want to use it for free, Dropbox gives you 2 GB of storage capacity. If you feel satisfied and want to increase capacity, Dropbox provides the option to upgrade to 100 GB capacity and costs around $9.99 USD per month or 200 GB capacity the costs is $19.99 USD per month and up to 1TB capacity for Teams package. Later, the link to the save media Dropbox will perform in a special folder on your hard disk. But remember, a folder on the hard disk this is a link that will directly connect to the internet. So if your hard disk is formatted or corrupted, the data on the Dropbox keep stored safely. Because it is a folder, you can place the files by means of click and drop, just like the process of coffee to a folder in your hard disk. Related to "Save Your Data Online with Dropbox"